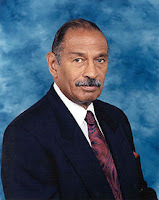 HR 4277, a revised version of HR 870, was introduced by Rep. John Conyers (D-MI) on March 28. This transformative federal legislation would create a national public service jobs program to complement job creation efforts in the private and nonprofit sectors. To achieve that goal, Rep. Conyers and other supporters in the House would put some real dollars on the table to create new jobs for unemployed Americans. HR 4277 creates a national "Full Employment and Training Trust Fund," funded by a small Financial Transactions Tax on stock, bond and derivatives transactions. This would create a major new national funding source large enough to create 2.5 to 4 million jobs in the first two years of the program. The bill would also provide much additional funding to support innovative job training programs, such as one-stop career centers, YouthBuild and Job Corps, among others. "...Persisting unemployment and underemployment have devastating financial consequences, resulting in the loss of income and spending power for families, and interfering with their ability to save and accumulate assets for a secure family life and retirement. High levels of unemployment and inadequate consumer demand also contribute to poor conditions for retail businesses, manufacturers and many other firms to grow and prosper. In the real estate sector, the Congress finds that continuing high levels of unemployment contribute to foreclosures, evictions, and commercial vacancies, undermining the quality of neighborhood and community life, and hampering prospects for economic recovery and national prosperity..."
"It is the purpose of the Humphrey-Hawkins 21st Century Full Employment and Training Act to expedite progress to fulfill the right to useful work at living wages for all persons seeking employment, as promptly as possible and at the earliest practicable date by establishing a Full Employment Trust Fund to fund and operate a national program of public service employment and to provide additional labor market opportunities to complement those offered by the existing private, public, and nonprofit sectors." 52 members of the House of Representatives had cosponsored HR 870, the previous version of this legislation, and all or most of them are expected to endorse the revised bill as well. 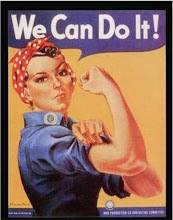 The Put America to Work Campaign is reaching out to organizations and individuals across the country to build grassroots support for a national jobs program, and seek additional cosponsors and Senate sponsors to create a right to a living wage job for everyone who wants to work. Representative Conyers has introduced legislation that is tailored to fit our current economic realities, but which also embodies the spirit of the original Humphrey-Hawkins “Full Employment and Balanced Growth Act:” the “21st Century Full Employment and Training Act of 2012.” The Act aims to provide a job to any American that seeks work and to, ultimately, create a full employment society. · The Act establishes of a “Full Employment and Training Trust Fund” with two separate accounts. These two accounts will direct funding to job creation and training programs. · If, at the beginning of each fiscal year, the Secretary determines that unemployment exists in the country’s labor force, 90 percent of the funds in each account will be automatically disbursed. · 67 percent of all revenues deposited into the trust fund will accrue in the job creation grant program account and 33 percent of the total funds will accrue in the job training account. · The first trust fund account will direct funds to a new innovative direct jobs program. Funds will be distributed by formula through the Department of Labor to larger cities, and to states to be passed through to smaller localities and rural areas. o The program would allocate funds based on the CDBG formula modified to consider unemployment data. Local elected officials who are closest to our communities and needs on the ground would work with community groups and labor leaders to identify critical projects and connect workers to projects right away. o Jobs could be located in the public sector, community-based not-for-profit organizations, and small businesses that provide community benefits. o The Program adopts an approach to ensure immediate job creation and also allow for a longer term planning process that involves community input and a focus on education and career development. o Full-time positions will be available for up to 40 hours per week, for at least 12 months. They will pay comparable or prevailing wages, as well as benefits. Appropriate safeguards and strong anti-displacement protections will help to prevent substitution and ensure that workers are placed in new positions. · The second trust fund will distribute funds to job training programs covered under the Workforce Investment Act. o These funds will fund innovative job training resources including one-stop career centers, Youth Build, and the Job Corps. o And options, which are contracts between a buyer and a seller that gives the buyer the right, but not the obligation, to buy or to sell a particular asset on or before the option's expiration time, at an agreed price (at the rate of the underlying asset).